When this pattern occurs within a prevailing uptrend, it can signal a very reliable continuation of the uptrend. But NF can also break down here because, volume not increase as expected. 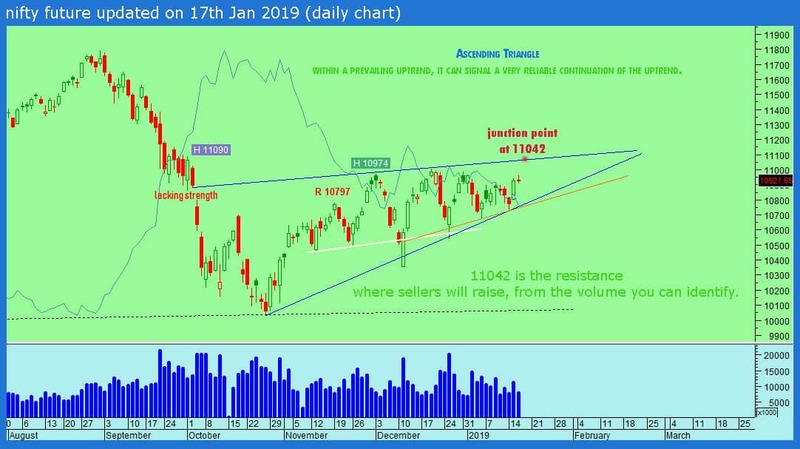 We are thinking to target 11000 and then possible to break down 400-600 points.